If you are considering having a retaining wall installed in the landscape of your Annapolis, Maryland, home, you can put your trust in the professionals at Allmaster Home Services. As a leading home improvement business that has served area homeowners since 1987, we have the skill and experience required to build a wall that is perfect for your home. Whether you would like to replace old or failing retaining walls, liven up your landscape, or make that unattractive hill that drops off in your backyard less noticeable, our experts are standing by and ready to provide you with the services you need to meet your landscaping goals. When you first contact us for the installation of a retaining wall, we will set up a free in-home inspection to get an accurate idea of the area where your wall will be placed. We will also provide you with a design presentation that will show you exactly what the finished project will look like. And, once our work begins on your home, we will keep you updated on our progress throughout the entire process. 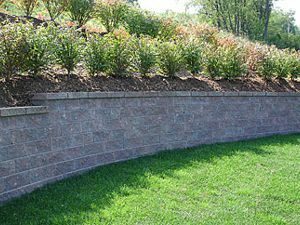 For more information about the retaining wall services we offer to homeowners in and around Annapolis, MD, contact Allmaster Home Services today.